Have we missed a spot? Is your dive resort/dive shop/diving operation featured on Diveplanit? Should it be? Then tell us all about it and we can help you promote it. For as little as $1 per day, we can create a significant presence for your business on our website and through our social media channels. CLICK HERE TO FIND OUT MORE about Diveplanit advertising opportunities. It is Diveplanit’s mission to create more ocean advocates, by giving them the tools and the information they need to get out there and explore the underwater world that surrounds us. If you’re a dive shop, a dive boat chart company, a dive resort or a tourism marketer and you’d like more people to come diving with you, we can help. We can help you produce rich content to showcase your destination, and we can promote your destination to our growing audience. We can produce a detailed guide to your destination, operation and the dive sites people will find there. We can produce and edit videos to showcase your destination and the diving to be found there, as well as social media assets for you to use through your own channels. We can manage social media campaigns on Facebook, Twitter, Instagram and YouTube to extend your reach to our growing social media audience. Our stats improve every month, so it’s best to email us (form in the footer of this page) for the latest figures. Monthly unique sessions – 17,550. Over the same period our Facebook following has grown to over 8000, with an average weekly reach in excess of 57,000. Key target reader. Works full time, has a high disposable income and dives internationally (within the Asia Pacific region) once or twice per year. He/she has an interest in the environment and wants to travel more. Secondary target reader. Interested in travel and diving and has a young family or a non-diving partner and wants to book a diving holiday with partner/family. Off the beaten track tourism – ie. unknown tourist destinations. Travel tech and gadgets. Including Photo / video equipment, tablets and travel laptops. Diving equipment including computers, suits, fins, masks, etc. Press Trips and Brand Partnerships. We are available to support your brand or cover stories on your behalf if relating to dive travel opportunities. We can produce features to be included on our website, to yours or to a third party site. We are widely published as freelance travel writers. Contact us if you’re interested in exploring a partnership with Diveplanit. 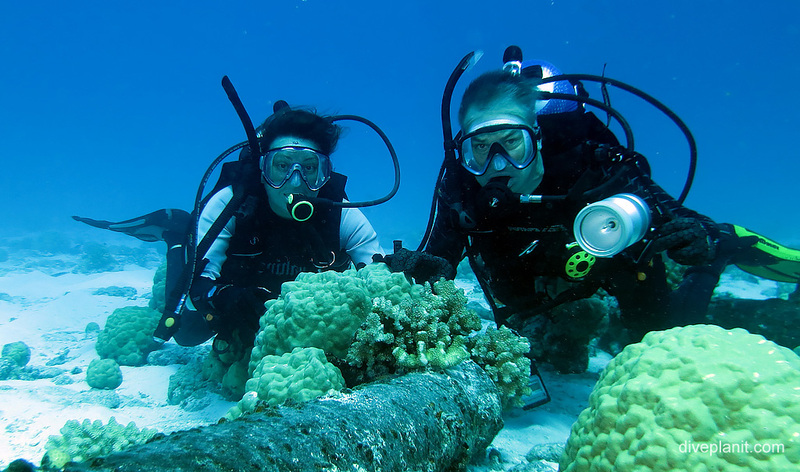 Get your business in front of keen divers and travellers currently researching their next diving holiday. Stand out from the crowd with custom content created by Diveplanit. Use Diveplanit content to boost your other digital marketing initiatives. Your own page on Diveplanit. A feature article written by Diveplanit with a detailed, reader-friendly description of your business, published on our website with an unlimited number of images. Banner advertisement on the Destination of your choice (subject to availability) to drive traffic to your page for 12 months. Content and images can be supplied by you, according to our advertorial brief, or written by us as part of a sponsored famil. Boosted social media activity, scheduled to fit your annual marketing and promotional calendar. Written Content. Your business listed on Diveplanit with a detailed, reader-friendly description, including an unlimited number of images and embedded video. Written Content. At least 4 separate articles on dive sites accessible from your resort/serviced by your dive company, including unlimited images. 4 newsletter insertions to our database of subscribers. 4 bursts of social media activity scheduled to fit your annual marketing and promotional calendar. 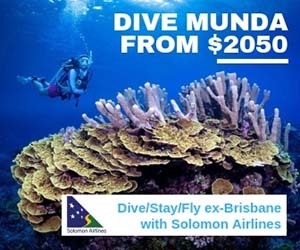 Banner advertisement on the destination of your choice (subject to availability) for 12 months. Video Content. Copyright free use of all video and photographic content produced by Dive Planit for promotional use on your other digital platforms. Video production. Production of three 60-90 second video, showcasing the diving available from your resort/dive operation. Video showcased on Diveplanit.com plus Diveplanit YouTube channel for 12 months. Images. Package of images for your use, copyright-free, supplied for print, online and social media formats. Content Distribution. We will find editorial outlets for your content in both print and online publications. *NB. Premium Partnership Package also requires a hosted famil for 2 people for at least 2 days, to shoot video and stills (excluding airfares).